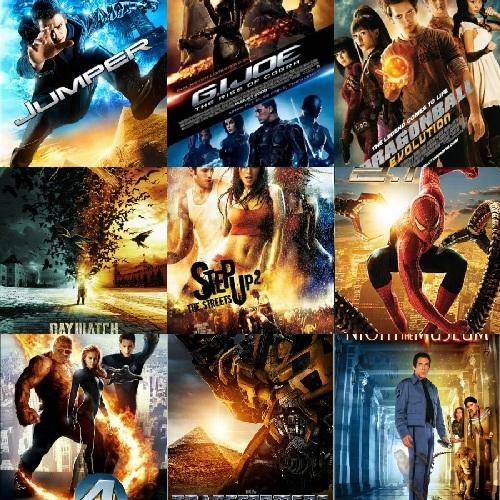 It all started with reading PetaPixel’s(1) post about why orange and teal color scheme is trendy in movies. Out of curiosity, I Googled why orange-teal contrast (or orange-blue contrast) is a favored color grading technique not just in motion pictures but in photos as well. While this coloring trend is applied in many film genres, as seen in Transformers and movie adaptations of graphic novels and comics, this palette is just one of the many color treatments that colorists can use. Today’s reading list on orange and teal (or orange and blue) color scheme. Check out why you should experiment with this look in your photography. Many a blockbuster movie and several popular travel photo/video creators out there use something called the ‘Orange and Teal look’ when they color grade their work. Today, Parker Walbeck of Fulltime Filmmaker will explain what that look is, why it’s used, and how to apply it to your creations. Source: What is the ‘Orange & Teal Look’ and Why is it So Popular? In this tutorial, we will focus on applying the popular “teal-and-orange” movie look effect, seen mostly in summer blockbusters and action films. This color grade gives the dark shades of your image a cool teal tone, while the light shades take a warm orange look, especially the skin tones. This complementary color combination makes the actor stand out in the frame since complementary colors pop when they are used side-by-side. In this video i will show you How To Apply Cinematic Color Grading To Your Photographs in Photoshop. I want to give this photo a Hollywood style teal-orange tone. I use two solid colour layers, one called shadows which is teal and the other called highlights which is orange to tone the image. When we’re talking about color grading, it is important to remember that we are really just talking about creative color correction – so there is no right or wrong. However, I think it is also important to point out that your color grading should match the style and mood of your photography – here is an excellent article on using color grading to manipulate viewer’s emotions. In this case, I decided interpret my photos by sticking with the popular teal blue shadow and orange highlight color scheme while applying a bit of a faded look as well. If you aren’t applying any color grading to either your photographs or motion work, you are potentially missing a vital part of the process of finalizing your image. Color grading can be one of the most impactful tweaks you can make to your work once it’s been shot. It has the potential to elevate a good image to great, or a great image to outstanding. This short video and article highlights why it’s so important and the powerful impact it can have on your work. Color grading in motion is nothing new. For years, DSLR videographers have been ‘shooting flat’. By ‘flat’, we mean we shoot with a profile type that tries to avoid ‘baking in’ too much information into the compressed video file. Aspects like sharpness, contrast and color saturation are typically elements we don’t want to define too strongly ‘in camera’ and there is a good reason for this, but let’s look at color specifically. As The Verge states, you can often tell a movie’s genre by its color treatment: de-saturated colors for apocalyptic films, cold tones for horror films, fluorescent green for sci-fi and saturated red tones for comedies are just a few examples. The most popular color treatment used these days in Hollywood is probably blue and orange; used for epic, drama, bio and many other films. One of the reasons believed to be behind this is that the combination of orange-ish skin tones and bluish backgrounds cause the actors to ‘pop out’ of the background. Stay tuned for more great reading list from the awesome blogs.